The workers vowed to seek justice and pursue their demands for regularization as they prepare for the negotiation with Middleby at the Office of the Secretary of Labor on July 12. 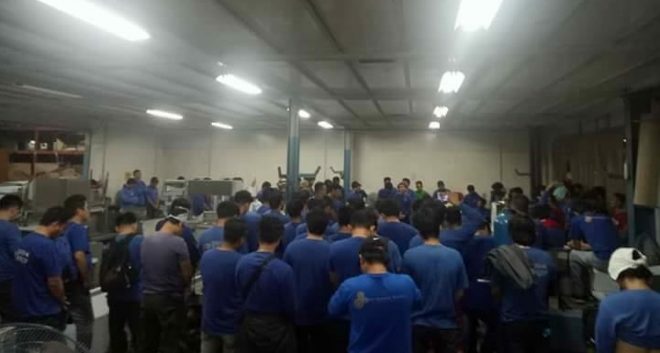 MANILA – For almost two months since May, more than a hundred long-time contractual workers of Middleby succeeded in holding a sit-down strike right inside their plant in Laguna Technopark. Their demand, regularization on the job, as ordered already by the Department of Labor and Employment in Region 4 as of last April. A world leader in sales, manufacture, and installation of cooking equipment and complete kitchen, Middleby is an American company that yearly makes a profit from the expansion of restaurant chains, hotels, coffee shops and also of the home cooking industry. It has been gobbling up companies that have the latest technology or the latest gadget in food preparation. 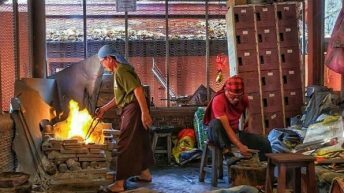 Since the 1990s it has a plant in the Philippines producing the kitchen equipment that Middleby uses to install fully operational kitchens of restaurant and hotel chains, mostly in Asia. But for roughly the same length of time, it has refused to regularize the majority of its workers – even if they have worked for Middleby for years now. Last May 10, more than 130 workers launched what they call as a sit-down strike inside Middleby’s plant in Laguna. The workers maintain that they are in fact workers of Middleby. But Middleby claims that they are employees of the labor cooperatives it is tapping for its needed manpower. 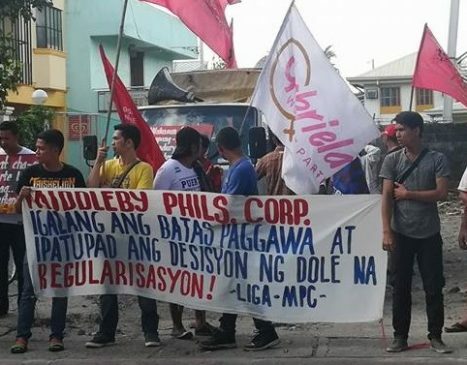 Sometime in April, when the contractual workers were about to receive the Labor Department decision urging for their regularization under Middleby, the Middleby Philippines announced it will no longer contract workers from the involved labor cooperatives. The workers launched a sit-down strike to prevent their termination. From then on, aside from usual threats of harassment from the police, they had to endure various counts of food-related privation courtesy of Middleby. The company that earns millions from helping people and restaurants to cook food efficiently imposed a food blockade to force the workers on strike to abandon the struggle. It barred entry of food delivery by other workers from Laguna to the strikers. It turned off electricity to lessen the strikers’ access to social media where they could request food from friends and allies. Further limiting the strikers’ food, since May 12, the Middleby canteen limited its sale of food to contractual workers. It began serving food to contractual workers only after the regular workers had finished eating. By May 15th, as workers subsisted on the little food they had, their wives appealed for help from Biñan Mayor Arman Dimaguila. The latter gave them some supplies. But it, too, was barred by the guards of the Laguna Technopark, reportedly on orders from Middleby. 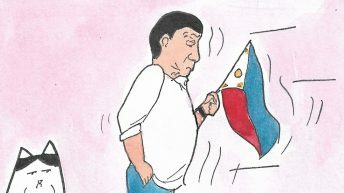 In subsequent communications, the Middleby Philippines management insisted on the strikers vacating first the workplace before they would face them in negotiations. 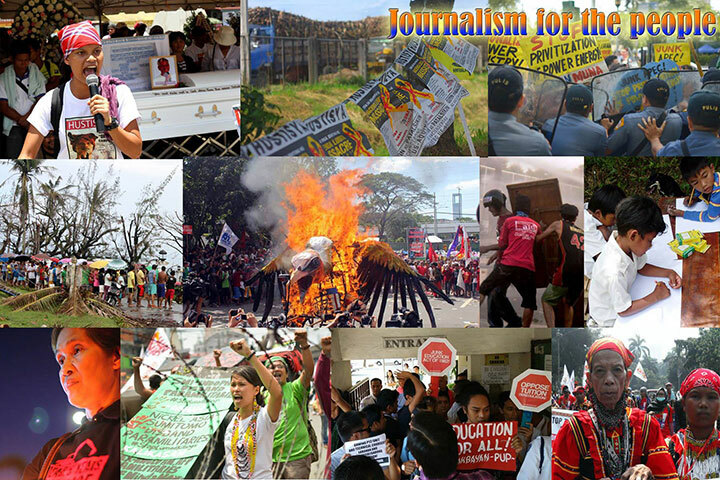 The union, meanwhile, demanded the implementation of the DOLE order regularizing them before they would vacate the area of their sit-down strike. On May 16th, the food of the strikers was all but gone. They said even the money they had couldn’t buy enough for the striking workers at the Middleby cafeteria. The cafeteria limited its food supply to just the regular workers. Since May 16th, Pamantik-KMU said, they received reports that representatives of management went on a house-to-house campaign to urge the families of the striking workers to convince their member to vacate the sit-down strike area. 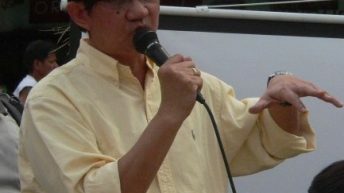 By May 30th, the workers’ supporters got a letter from Labor Secretary Silvestre Bello urging Middleby to allow the entry of food being brought by nearby workers. 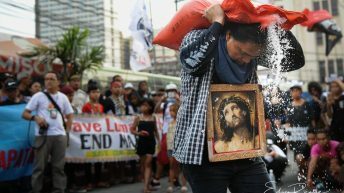 On June 1st, amid a conference in the National Conciliation and Mediation Board with representatives of DOLE, NCMB and PEZA, supporting workers managed to bring in food to the hungry strikers. They heard that the Laguna Technopark guards allowed it only because Middleby gave the go-signal on the occasion of the conference. From June 2nd, the Middleby cafeteria allowed the striking workers to again buy food on a loan. But at the same time, the authorities at the Laguna Technopark gates resumed barring food being brought to the strikers, reportedly on Middleby orders. On June 4th, not even the urgent mediation filed by the workers with the DOLE and the quick reaction team formed by the Commission on Human Rights in Southern Tagalog were able to sway the Laguna Technopark gatekeepers to allow food delivery to strikers. On June 14th, the workers inside Middleby held a program and opened the gates to receive the food brought by workers from neighboring Honda Cars, Ftech and Technol Eight. Outside the gates of Laguna Technopark, food was also brought by workers from other establishments but they managed to enter only up to Gate 2, as Laguna Technopark increased deployment of security guards to stop them. They did not reach the Middleby strikers at Gate 4. On June 16, following attempts to install CCTV cameras where the sit-down strikers were, the company brought policemen to the strike area to convince the workers to abandon the strike. 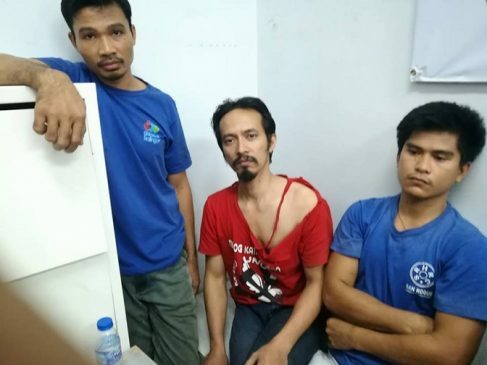 The police took to their station in Biñan two leaders of the workers’ association, whom they jailed for an hour or two, released on the same day, but were no longer allowed inside the Technopark let alone in Middleby. 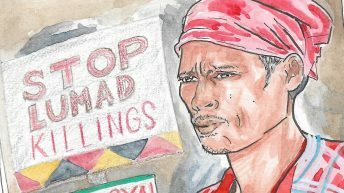 Since then, Pamantik-KMU leaders said they struggled just to bring in the food being given by supporting workers in Laguna to the strikers. On July 2, the workers were heartened by the fact that at last, Middleby management representatives sat down to negotiate with union representatives as facilitated by the Labor Department. But the following day, on July 3, Middleby brought around 50 new “workers.” After a general assembly presided by a Canadian executive, the “workers” proceeded to assault the strikers. The assault was swiftly followed by a police operation that targeted two union leaders while driving the workers out of the plant. 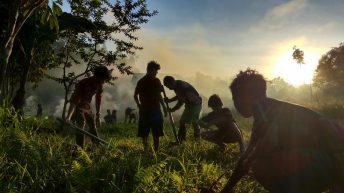 The regional labor center PAMANTIK-KMU condemned the arrest of seven workers and the harassment resulting from the police operation in Middleby Philippines Inc. The workers vowed to seek justice and pursue their demands for regularization as they prepare for the negotiation with Middleby at the Office of the Secretary of Labor. As of this writing, the strikers are sharing the picket line of workers of biscuit maker Monde Nissin, also in Laguna.